For presentation at the president’s panel on problems of peaceful change at the annual meeting of the International Studies Association, Baltimore Thursday, February 23, 8:15 am. This essay uses a world historical and long run evolutionary perspective on human institutions to discuss recent developments in the global system and to suggest directions for improving the chances of humanity getting through the coming period of multipolarity and interimperial rivalry without catastrophic conflict. We briefly outline our notion of the evolutionary trajectory of global governance in the modern world-system. We also discuss the declining trajectory of the U.S. hegemony and the problems that this decline is posing for peacefully resolving conflicts. The dollar seignorage that is the current basis of U.S. military preponderance is seen as unlikely to remain a stable support for world order. We consider what could be done to improve the legitimacy and capacity of existing institutions, especially the United Nations and consider the issue of where support for, and opposition to, democratization and capacity-building of the U.N. is likely to come in the next several decades. The modern world-system has, over the past several centuries, exhibited cycles of globalization (Chase-Dunn Brewer and Kawano 2000), the rise and fall of hegemonic core powers, and upward trends in population growth and economic development. The massive global inequalities that emerged during the 19th century have not been reduced despite the rapid economic development of India and China (Bornschier 2010). Our research uses an anthropological framework of comparison to trace the trajectory of polity formation that started with the emergence of big men and chiefdoms and led to the emergence of states, empires, modern nation-states and the rise of sequentially larger and larger hegemonic core states. We also focus on the bumpy rise of international organizations since the Concert of Europe following the Napoleonic Wars followed by the League of Nations, the United Nations and the expansion and contraction of regional international polities such as the European Union. We discuss the current attacks on the United Nations by a new wave of populist nationalism and strategies for protecting and increasing the capacity of the United Nations in the coming decades in order to resolve future interimperial rivalries peacefully. 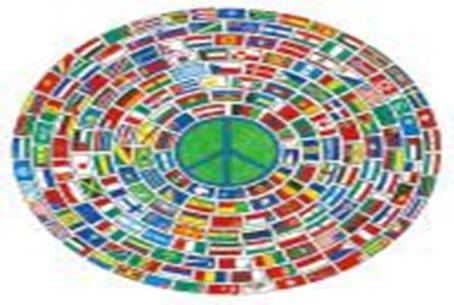 · addressing the huge inequality between the global North and South. All the people of the world will be affected by the timing and rapidity of these emerging crises and so a plan for restructuring the global system in order to more effectively meet these challenges is greatly needed. This essay proposes the strengthening and democratization of the United Nations in order to enhance global cooperation for meeting these challenges and for supporting the empowerment of the peoples of the Global South. Figure 1 is an updated extension of the trade globalization series published in Chase-Dunn et al., (2000). 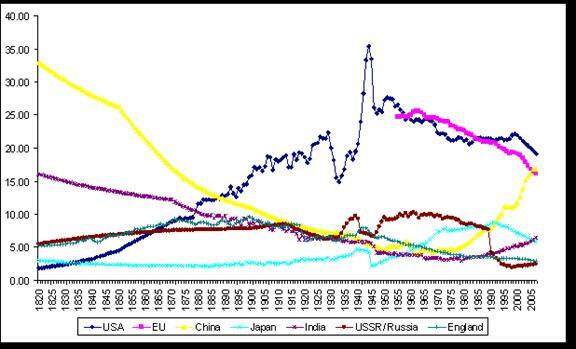 The earlier study showed the great nineteenth century wave of global trade integration, a short and volatile wave between 1900 and 1929, and the post-1945 upswing that has been characterized as the “stage of global capitalism.” The earlier results showed that trade globalization has historically been both a cycle and a bumpy trend. There were significant periods of deglobalization in the late nineteenth century and in the first half of the twentieth century. Note the steep decline in the level of global trade integration in 2009, a recovery by 2011 and then what may be the beginning of another, slower, decline that began in 2012. This may signal the start of another episode of deglobalization. The long-term upward trend was bumpy, with occasional downturns such as the one shown in the 1970s. But the downturns since 1945 have all been followed by upturns that restored the overall upward trend of trade globalization. The large decline of trade globalization in the wake of the global financial meltdown of 2008 was a 21% decrease from the previous year, the largest reversal in trade globalization since World War II. The question is whether or not the sharp decrease in 2008 and the slower decrease since 2012 represent the beginning of a reversal of the long upward trend observed over the past half century. Was this the beginning of another period of deglobalization? It is plausible that the rise of economic nationalism seen in the growth of right-wing nationalist parties in Europe, the Brexit vote and the election of Donald Trump in the U.S. could lead to another round of trade wars and further trade deglobalization. Such further economic dislocation would likely exacerbate the tensions that have led to political polarization and the rise of both a New Global Left and a New Global Right based on populist nationalism. Realistic consideration of possibilities for improving global governance needs to comprehend the long-term trends as well as recent developments in the evolution of the global polity. The modern world-system is somewhat similar to earlier regional world-systems in that there is a cycle of the rise and fall of powerful polities. The existing system of global governance is based on a mixture of institutions that developed within formerly separate regional international systems. In the 19th century the European international system merged with the system that had long existed in East Asia (Arrighi, Hamashita and Selden 2003; Chase-Dunn and Hall 2011). The European Westphalian interstate system surrounded and engulfed the trade-tribute system of East Asia (Arrighi 2006). In the 20th century the last great wave of decolonization extended the system of sovereign national states to the rest of the non-core (Figure 2). The long-term trends over the past two centuries have included the extension of national sovereignty to the Global South because of the decolonization movements (Figure 2 above), the growing size of the hegemon in the transition from the British to the U.S. hegemony (Figure 3 below; Chase-Dunn, Kwon, Lawrence and Inoue 2011) and the emergence of still-weak but strengthening global-level political institutions. This has been a long-term process of political globalization in which global governance is becoming more centralized and more capacious because of the increasing relative size of the hegemon and the emergence of global proto-state organizations. Of course, there have also been counter-movements and periods in which the long-term trends reversed. We are in such a period now because U.S. hegemony is in decline (Wallerstein 2003; Chase-Dunn, Kwon, Lawrence and Inoue 2011; Friedman 2017) and support for the United Nations is also in decline because the U.S. has been its main supporter. But there are also several important differences between the current period and the period of decline of the British hegemony. Britain was never as economically large relative to the size of the whole world economy as the United States has been (see Figure 3). And Britain never had such a preponderance of military power. Even at the height of British hegemony there were other core states that had significant military power. Giovanni Arrighi (2006) noted that the period of British hegemonic decline (1870-1914) moved rather quickly toward conflictive interimperial rivalry because economic competitors such as Germany and Japan were able to develop powerful military capabilities that could be used to challenge the British. The U.S. hegemony has been different in that the United States ended up as the single superpower after the demise of the Soviet Union. Some economic challengers (Japan and Germany) cannot easily play the military card because they are stuck with the consequences of having lost the last World War. This, and the immense size of the U.S. economy, will probably slow the process of hegemonic decline down compared to the rate of the British decline. And the decline of Britain took place during the transition from the coal energy regime to the oil energy regime (Podobnik 2006), whereas U.S. decline is occurring as the world approaches its peak production of fossil fuels and when global climate change is threatening to disrupt the world-system. These developments parallel, to some extent, what happened a century ago, but the likelihood of another “Age of Extremes” or a Malthusian correction such what occurred in the first half of the 20th century could be exacerbated by some new twists. The number of people on Earth was only 1.65 billion when the 20th century began, whereas at the beginning of the 21st century there were 6 billion. Moreover, fossil fuels were becoming less expensive as oil was replacing coal as the major source of energy. It was this use of inexpensive, but non-renewable, fossil energy that made the geometric expansion and industrialization of humanity possible. Now we are facing global warming as a consequence of the spread and rapid expansion of industrial production and energy-intensive consumption. Energy prices have temporarily come down because of fracking and overproduction by countries that are dependent on oil exports, but the low hanging “ancient sunlight” in coal and oil has been picked. “Peak oil” is approaching. “Clean coal” and controllable nuclear fusion remain dreams. The cost of energy will probably go up no matter how much is invested in new kinds of energy production. None of the existing alternative technologies offer low cost energy of the kind that made the huge expansion possible. Many believe that overshoot has already occurred in terms of how many humans are alive, and how much energy is being used by some of them, especially those in the core. Adjusting to rising energy costs and dealing with the environmental degradation caused by industrial society will be difficult, and the longer it takes the harder it will become. Ecological problems are not new, but this time they are on a global scale. Peak oil and rising costs of other resources are likely to cause more resource wars that exacerbate the problems of global governance. The war in Iraq was both an instance of imperial over-reach and a resource war because the U.S. neoconservatives thought that they could prolong U.S. hegemony by controlling the global oil supply. The Paris Agreement on greenhouse gas emissions reached in December of 2015 is good news, but compliance will be difficult, especially for non-core countries and the Trump administration is threatening to ignore global warming. And the British government still had a colonial empire that it could tax in order to support its military position whereas the shift from colonialism to clientelism (Go 2011) means that the U.S. can only legally tax its own citizens to support its global military preponderance. This may be seen a progress, but it is also a factor that is likely to result in the decline of the currently stable structure of global military power. Political globalization and the rise and fall of hegemons have been driven, in part, by a series of world revolutions – periods in which social movements, rebellions and revolutions within countries – have clustered in time. We have studied the emergence of the New Global Left and now are giving attention to the nature of the New Global Right. The world revolution of 1917 included the Russian, Mexican and Chinese revolutions and the rise of organized social movements based on the labor movement and anti-imperialism. During the 1920s and the 1930s – the “age of extremes” fascist movements emerged in many countries. The New Global Right (NGR), like the New Global Left (NGL), is a complex conglomeration of movements. Radical Islam harkens back to a mythical golden age of god-given law in reaction to the perceived decadence of capitalist modernity. Neo-conservatives advocate the use of U.S. military superiority to guarantee continued access to inexpensive oil. Populist nationalists reject the universalism of neoliberalism and the multiculturalism of the global justice movement. They hark back to religious, racial and national golden ages and seek protection from immigrants and the poor of the Global South. Politicians mobilize support from those who have not benefited from neoliberal capitalist globalization, often using nationalist or racial imagery. The New Global Right is both a response to neoliberal capitalist globalization and to the New Global Left. And the New Global Left is increasingly responding to what many perceive to be the rise of 21st century fascism. The interesting world historical question is how the NGR is similar to and different from the Global Right that emerged out of the World Revolution of 1917 in the 1920s and 1930s. Fascism (nationalism on steroids) was a reaction to the crisis of global capitalism that occurred in the first half of the 20th century. Strong fascist parties and regimes emerged in several core and non-core countries (Goldfrank 1978), and there were even efforts to organize a fascist international. Fascist movements were driven in part by the threats posed by socialists, communists and anarchists. And, in turn, the popular fronts and united fronts that emerged on the left in the 1930s were partly a response to the threats posed by fascism. The New Global Right is mainly populist nationalism now, but if another, deeper, global economic crisis emerges (which is likely) it could morph in to true fascism. Many observers have argued that warfare between states has been transcended because of the existence of weapons of mass destruction and because the international system has not seen much interstate warfare since World War II except for U.S. invasions. Proxy conflicts have not escalated in to armed confrontations among major powers. Arguably this relative stability has been produced by the existence of two superpowers during the Cold War epoch and then by the predominance of one superpower after 1989. And existing international political organizations and increasing economic interdependence have played some role in maintaining the interstate peace. Here we contend that there are reasons for concern about the stability of future global peace because of developments that are likely to weaken the structures that have maintained the relative peace since World War II. The comparative and evolutionary world-systems perspective notes that cycles of rise and fall have characterized all hierarchical interpolity systems since the rise of chiefdoms. The modern world-system is understood as also going through a sequence of the rise and fall of hegemonic core states. The current situation is seen as one in which the economic hegemony of the United States has declined in a series of steps over the past three decades and that its political, cultural and military hegemony are likely to follow. From the point of view of geopolitical theory this is an important reason to fear that interstate warfare might again occur in a more multipolar international system. The declining economic and political hegemony of the U.S. poses huge challenges for global governance. Newly emergent national economies such as India and China need to be fitted in to the global structure of power. The unilateral use of military force by the Bush administration further delegitimated the institutions of global governance and provoked resistance and challenges. A similar bout of “imperial over-reach” in the late 19th and early 20th centuries on the part of Britain (the Boer Wars) preceded and led to a period of interimperial rivalry and world war. Such an outcome is less likely now, but not impossible. We are also made apprehensive by the threats that the Trump administration has made toward the United Nations and NATO. One of Trump’s advisors advocates abolishing the U.N. and Trump has complained about the amount of financial support that the U.S. provides to the U.N. and to NATO. This America First stance further undermines the ideological role of the United States as a provider of global security. This stance had already been compromised by the unilateral use of military force by the G W Bush administration but the Trump administration seems to have further raised the level of concern regarding the abandonment of a universalist ideology that had been the legitimation for U.S. hegemony in the post- World War II period. America-Firstism is the opposite of a universalistic justification for the use of power and it encourages other powers to also abandon pretensions of pursuing the general interest. While these aspects of ideological hegemony may have been self-serving in prior decades, their abandonment does not bode well for the future of global security. The nature of hegemonic decline in the modern world-system has long been uneven. Both Immanuel Wallerstein (1984) and Giovanni Arrighi (2006) depicted a sequence of stages of economic hegemony that proceeds from comparative advantage in consumer goods, to comparative advantage in capital goods and then to centrality in global financial networks and expansion of the project of making money with money. The Dutch, British and U.S. hegemonies have all replicated this sequence. Measures of U.S. economic hegemony show a stair-step sequence of declines since the U.S. share of global GDP peaked in 1945 (Figure 3 and Chase-Dunn, Kwon, Lawrence and Inoue 2011). Michael Mann’s (2013: 268-273) discussion of the transition from hegemony (a relatively benign concentration of global power) to empire (a less benign form of centralized power based not on direct colonialism but on the maintenance of client states) suggests that U.S. leadership was largely beneficial for most of the peoples of the world until the 1970s, and that in the 1970s U.S. economic preponderance was reinvigorated by the reorganization of dollar seignorage and global finance capital. Mann agrees with both the world-system theorists and with the theorists of a new stage of global capitalism that U.S. hegemony has shifted toward a regime of finance capital that now includes banks and private financiers in Europe and Japan, and that U.S. economic hegemony has indeed declined since the global financial crisis of 2008. The military expenditures of the United States constitute nearly half of the total amount spent by all the world’s states on their militaries. SIPRI data on military expenditures only include publically known expenditures, and much of the money spent contributes little to real military capabilities. Using the SIPRI figures we can see that the percentage of global military expenditures accounted for by the United States varied from 36% to 43% from 1988 to 2015 (Figure 4) and since 2010 that percentage has declined to the lowest point since 1988 (34%). Michael Mann explains how the U.S. has been able to continue to finance its huge military budget and the wars in Afghanistan and Iraq without raising taxes on U.S. citizens. He develops the concept of “dollar seignorage” in which the U.S. benefits from the fact that, unlike other countries, it is able to print world money. The U.S. dollar is the reserve currency of the global economy, as was the pound sterling in the 19th century. This is an institutional remnant of the former centrality of the United States in world manufacturing production. But how does this financial centrality translate into fiscal capability of the U.S. federal government? The U.S. government is able issue and to sell bonds on the world bond market. And the huge financial sector within the U.S. pays income and corporate taxes to the federal government. This is the dollar seignorage that makes it possible for the U.S. federal government to continue to spend a huge amount of money on “defense” and on overseas wars without having to raise taxes on U.S. citizens. But dollar seignorage is not a sustainable source of support for the global military capability of the U.S. Rising contenders in the global economy, especially the Peoples Republic of China, have complained about the unfairness of the position of the U.S. dollar in the global economy. The Chinese government has suggested that the International Monetary Fund should bundle several tradeable currencies to serve as the reserve currency in global trade and finance. China has also begun to organize a global bank that would compete with the World Bank, and nearly all other countries except the U.S. have said they will participate in the new world bank. Let us now consider possible remedies that might reduce the probability of interstate warfare in the next few decades. We will consider strengthening and democratizing the United Nations, fighting back against populist nationalism by articulating the web of national and transnational social movements that constitute the New Global Left and recovering from the demise of the Latin American Pink Tide and the failures of the Arab Spring. The United Nations was established ostensibly to provide collective security. Unfortunately the United Nations suffers from some defects that make it unlikely to be effective during a period of continued U.S. hegemonic decline and increasing multipolarity. The most important issue regarding legitimacy has been called the “democratic deficit.” The decision-making structures of the United Nations do not represent the peoples of the world. There is no World Parliament in which populations are represented. George Monbiot (2003) and others have proposed the establishment of a Global Peoples Parliament to represent the people of the world in global governance. Such a parliament should be based on delegation and representation of the peoples of the Earth and should operate on the principal of majority decision-making. Demographically large countries would have great influence in such an institution. But purely demographic weight could be counter-balance by the U.N. General Assembly in which each member state has one vote. The General Assembly is democratic in form, representing national societies by the formula of “one nation, one vote.” But the existing General Assembly has little authority over most of the important decisions that are made by the United Nations. The most important powers are held by the Security Council. The permanent members of the Security Council are the powers that won World War II. The Security Council can veto proposals to reform the structure of the U.N., which it has done repeatedly since the formation of the U.N. in 1945. In order to be a legitimate global authority the United Nations would have to become more democratic by adding a parliament, broadening control of the Security Council and increasing the powers of the General Assembly and a new Peoples Parliament. Such a global authority would be widely viewed as representing the interests of the people of world. 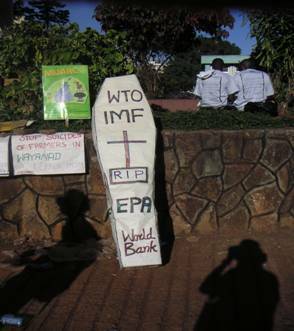 But there is another grave deficit at the U.N. It does not have the capacity to effectively help humanity meet the challenges of the 21st century. The main weakness is with regard to the U.N.’s ability to resolve major conflicts and to enforce decisions that are made. In order be able to resolve major conflicts among powerful national states the U.N. Peacekeeping Forces would have to be superior those military forces that might choose to oppose it. It is usual to consider global governance without discussing Max Weber’s definition of a state as most importantly “a monopoly of legitimate violence.” But ignoring the issue of military power and security will not help us through the coming period of great power rivalry. The United Nations is not a state by Weber’s definition. Rather a near monopoly of global violent capability is held by the armed forces of the United States. This is the de facto world state, but without legitimacy according to broadly accepted definitions of democratic control. The President of the United States is the Commander-in-Chief of the U.S. armed forces. But s/he is not elected by the peoples of the world. So U.S. military power is not legitimate, especially when it is exercised unilaterally, as it was during the Bush administration. The Obama administration’s approach was somewhat less unilateral as illustrated by the multilateral intervention in Libya. But the extermination of Osama Bin Laden was a continuation of U.S. preemption. We do not yet know what actions the Trump administration will carry out, though indications are that the use of drone strikes is continuing. A legitimate global government would provide due process even to those considered to be evil. There is an existing global military apparatus that has been erected by the United States, composed of 865 facilities in 40 countries and overseas U.S. territories (Johnson 2010:183). Chalmers Johnson, a former Cold Warrior who became an intrepid critic of imperial U.S. foreign policy, decried the effects that hegemony, and especially the shift toward unilateral militarism, has on the quality of democracy within the United States. In order to prevent the permanent transition from a republic to a dictatorial empire Johnson proposed that the U.S. global military apparatus should be sold back to the countries in which the bases and other facilities are located. This would also provide revenues that could be used to revitalize the physical infrastructure of the U.S.. We agree that hegemony has not been good for democracy in the U.S. The rapid expansion of income inequality since the 1970s has produced a polity that is increasingly reminiscent of imperial Rome. Neoliberal economic policies have combined with neoconservative use of military power to undermine the middle class and the political process. And so we agree with Johnson, except that we add the neoliberal globalization project to the list of causes. And we also note the irony that workers displaced by neoliberal deindustrialization helped elect the Trump administration, which could be a step in the direction of the dictatorial empire that Johnson was warning about. Johnson (2010a; 2010b) proposes that all 865 U.S. military facilities be sold to the countries in which they are located. We propose that one third of these be kept under the control of the U.S. federal government in order to provide some continuity both domestically and in the larger world that has come to expect the U.S. to play the role of providing stability. Another third should be sold the countries in which they are located. These facilities should be ones that are located in countries where the U.S. military involvement has generated a high level of popular resentment. And the other third should be sold to the United Nations. Command over these should be transferred to a global multilateral agency similar in form to the North Atlantic Treaty Organization (NATO), but under the control of the democratized United Nations. The U.S. would continue to play an important supporting role in this globalized and democratized structure of military power, which could provide useful continuity for a substantial part of the large military labor force and industrial complex that is the domestic legacy of U.S. hegemony. Past rises of political globalization have been mainly due to the emergence of a hegemonic core power that provided support for a global governance regime that it largely controlled. The main strides in institutionalization of general international political organizations have followed world wars that have caused vast death and destruction, and so many actors were strongly motivated to assent to institutions that were designed to reduce the likelihood of future disasters of this kind. The back and forth history of the European Union has important implications for the prospects of increasing the capacity of global governance institutions. To the extent to which the EU has been successful at creating a supranational level of governance, it is a positive example of how state formation can occur by means other than conquest. Most of the big upward sweeps of polity size since the Bronze Age have been instances in which a semiperipheral marcher state conquered a group of older core states to form a core-wide empire. The League of Nations and the United Nations were formed after huge world wars. The fact that the EU came forth by peaceful means is encouraging. The EU has made great strides, but there has been substantial and growing resistance as made manifest in the Brexit vote and the rise of populist nationalism in Europe. The European version of neoliberalism was far more social democratic than the forms that were strong in the United States and the United Kingdom, but the European neoliberals succeeded in resisting the social charter that would have incorporated unions and popular participation into the supranational governance process. This victory for the neoliberals generated much of the resistance that has been mobilized by the populist nationalist parties and movements. The lesson for a new effort at democratic global governance is clear. Labor and other popular forces should lead a campaign for “globalization from below” that challenges many of the institutions that were put in place by the neoliberal globalization project. How much support for democratic globalization from below will come from the core, the periphery and the semiperiphery? One might suppose that the powers-that-be would oppose democratic reforms of the institutions that they already control. But as neoliberalism, neoconservatism and populist nationalism fail to keep global order many of those who have been supporters of the old institutional structures may see the need for new levels of legitimacy and capacity at the global level. During the years in which the neoliberal globalization project took credit for economic growth in many parts of the world the challenges were weak. But since the financial crises of 2008 and the ensuing global recession political polarization has grown in all zones of the world-system. Given the antistatist politics and commitment to horizontal leaderless movements that have been favored by most of the World Social Forum attendees (Santos 2006), it is somewhat amazing how much support there is for both the U.N. and for the idea of a democratic global government. A major stumbling block, however, is that a large proportion of those in favor think that this goal is unrealizable. Chase-Dunn et al (2008) further analyzed the 2005 Porto Alegre survey to examine global North/South differences. Among those from the New Abolitionists at the WSF in Nairobi core only 16% said that democratic world government is a bad idea, while in the periphery it was 23% and in the semiperiphery it was 37% (see Table 1 below). This higher skepticism about democratic world government in the semiperiphery may have been due to the large presence of locally oriented activists from Brazil. However, when Brazilian attendees were excluded from the analyses, the percentage of semiperipheral respondents opposing the idea of a world government rose to 39%. As stated above, thirty-nine percent of the Porto Alegre attendees from the core thought that democratic world government was a good idea and is possible, while 45% said that it was a good idea, but not possible. This more sanguine core attitude toward global institutions was also found in the question about international financial institutions. This may be related to the fact that existing global institutions have been core-controlled and that the forms of democracy that have been institutionalized in global political structures are mainly based on cultural assumptions that emerged from the European Enlightenment. These facts of world history are likely to make non-core peoples skeptical about the possibility and desirability of “democratic global governance.” But even in the core there is considerable skepticism about the real possibility of a democratic world government. The interstate system is still strongly institutionalized despite the rise of globalization in popular consciousness. One might suppose that support for reforming and democratizing the U.N. would come from those national societies that only play a minor role in the current structure. Japan and Germany were long excluded from the Security Council because they lost World War II. The countries of the non-core would also be likely supporters. One would think that the “Pink Tide” populist regimes of Latin America would have supported globalization from below despite their somewhat tendentious relationship with the New Global Left. But the Pink Tide has declined in Latin America with a resurgence of neoliberal conservative regimes that will not be likely to further support transnational social movements of the Left or the expansion of global democracy. The only good news here is that many Latin American countries seem to have achieved the institutionalization of parliamentary democracy rather than continuing the pattern of military coups. If this is the case the pendulum will eventually swing back toward the Left. If a legitimate and effective road to improving global governance in the next few decades is not found humanity risks repeating the chaos that characterized the first half of the 20th century, except that it might be worse because of the global environmental problems that are exacerbating rivalries and North/South issues. If greater global democracy and coordinated governance capacity does not emerge in the next few decades, which seems likely given recent political trends, then the democratic transnational movements must resist the tendencies of competing states to use military power in their competition with one another. The potential for the New Global Left to form transnational movements, global unions and global political parties is greater than for the populist-nationalist and proto-fascists who are somewhat hamstrung by their lack of universalistic ideals. Bornschier, Volker and Christopher Chase-Dunn (eds.) The Future of Global Conflict London: Sage. 1999. Republished in the Sage Online Books Platform, 2012. __________________________2014 Social Change: Globalization Since the Stone Age. New York: Routledge. Yildiz Atasoy (ed) Hegemonic Transitions,the State and Crisis in Neoliberal Capitalism. Friedman, Uri 2017 “What the World Might Look Like in 5 Years, According to U.S.
Galtung, Johan 2009 The Fall of the U.S. Empire. Kolofon Press. Social Change in the Capitalist World Economy. Beverly Hills, CA: Sage. Mann, Michael. 1986. The Sources of Social Power Volume I: A History of Power From the Beginning to A.D. 1760.
history” Theory and Society 45:203-237. ___________ 2007. War and Peace and War: The Rise and Fall of Empires. Plume. World Bank 2017. World Development Indicators [online]. Washington DC: World Bank. Bruce Podobnik, Global Energy Shifts: Fostering Sustainability in a Turbulent Age, Philadelphia: Temple University Press, 2006. Richard Heinberg, Powerdown, Gabriola Island: Island Press, 2004. Of course the U.S. has been sending signals to the Japanese that they should shoulder more of the costs and responsibilities for military security in East Asia and the Japanese government has made some limited moves in that direction despite a strong peace movement in Japan. For their part, the Chinese Communist Party has not yet engaged in a big investment in expensive high technology military capability. Both Japan and China prefer to let the U.S. bear the main costs of global security, at least for the present. A reserve currency is a currency that is held in significant quantities by governments and institutions as part of their foreign exchange reserves. Foreign-exchange reserves are composed of money or other assets held by an institution so that it can pay debts abroad. Democracy is a contested concept in the contemporary world in the sense that there are competing definitions, including disputes about representation vs. delegation. But the broad notion that government should reflect the interests of, and be changeable by, the people is very widely accepted.